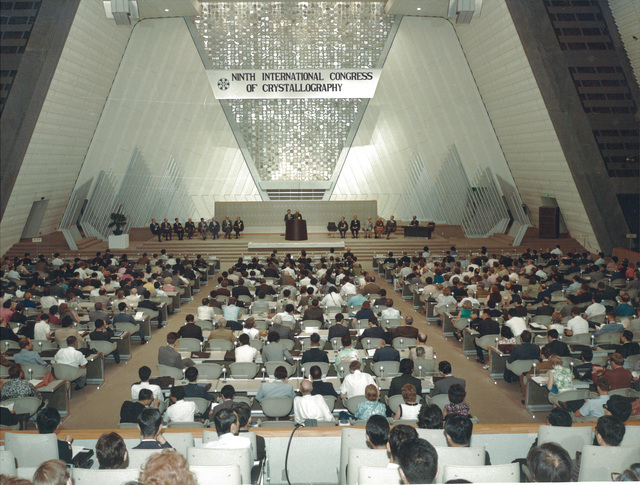 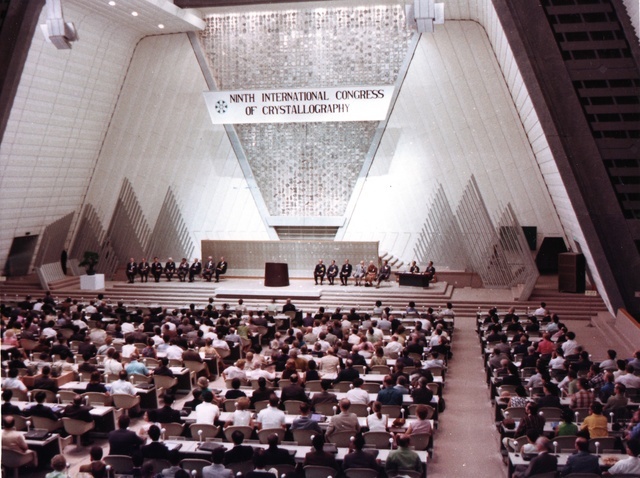 The opening ceremony of the Ninth International Congress of Crystallography commenced with music performed by five players of the koto, the stringed national instrument of Japan. 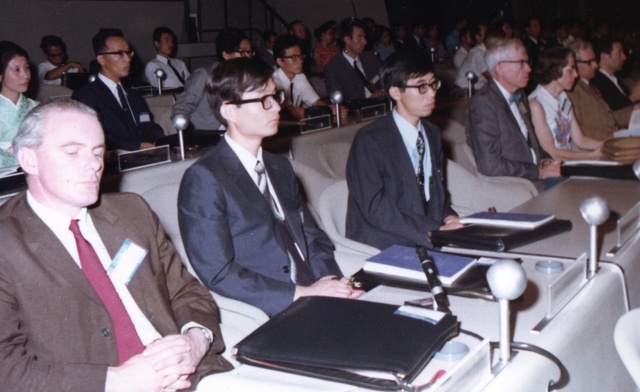 ?, S. Miyake, E. Suito, B. K. Vainshtein, D. C. Hodgkin, A. McL. 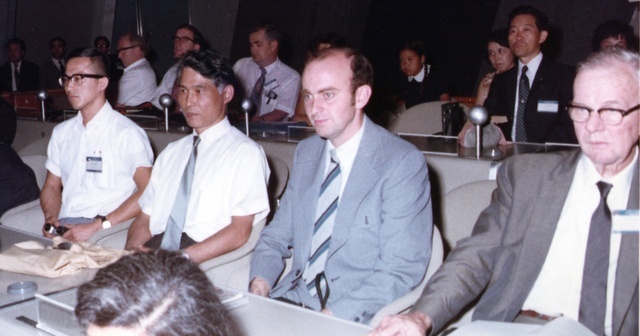 Mathieson, Y. Saito, S. Hoshino. 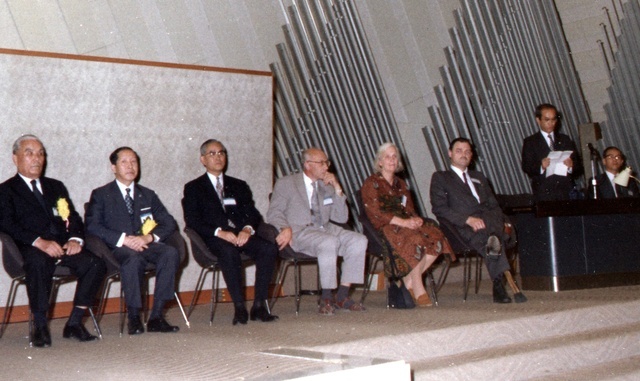 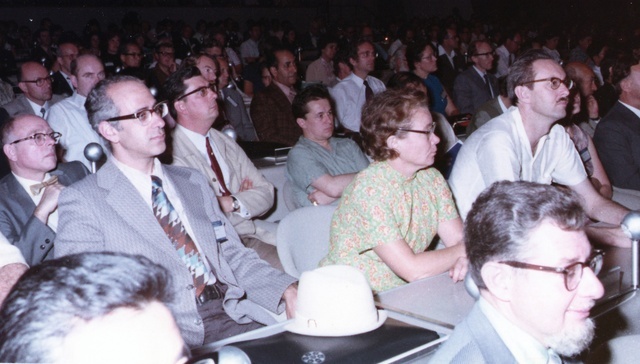 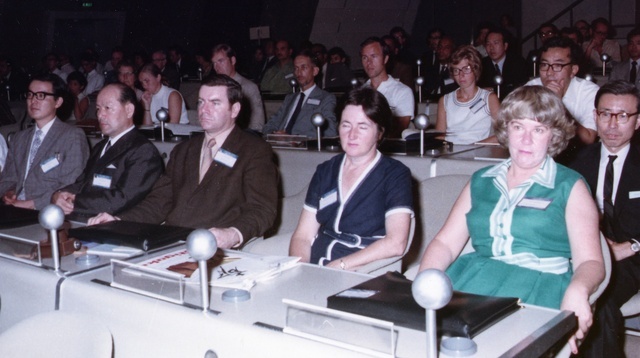 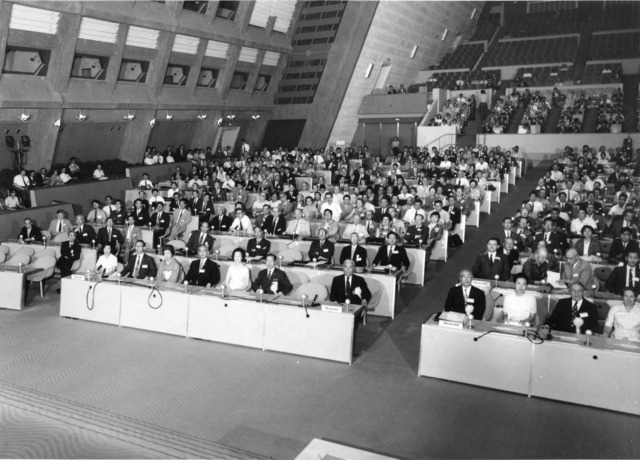 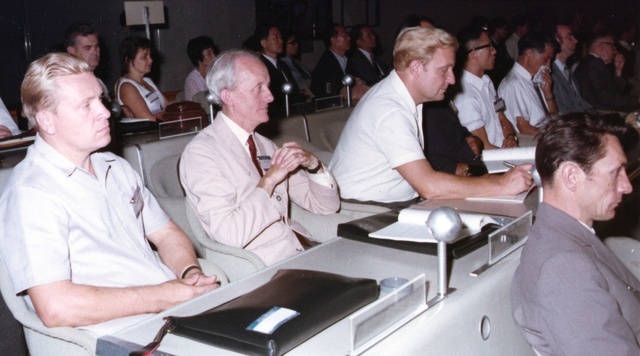 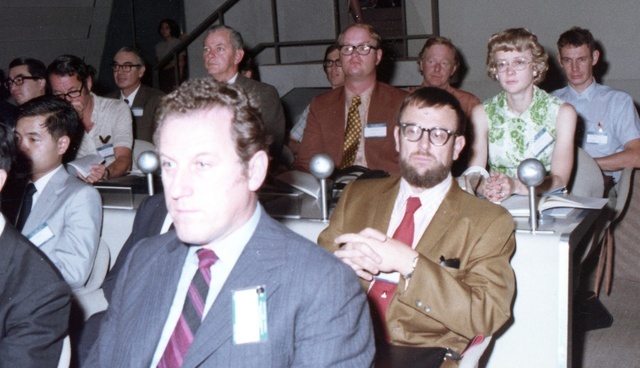 ?, S. Miyake, E. Suito, B. K. Vainshtein, Dorothy Hodgkin, Sandy Mathieson, Y. Saito. 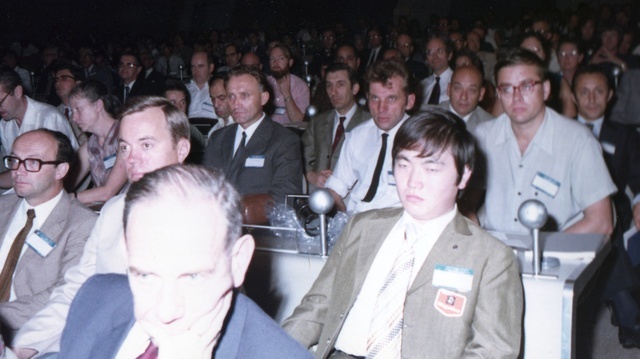 Front row: ?, ?, S. Seki. 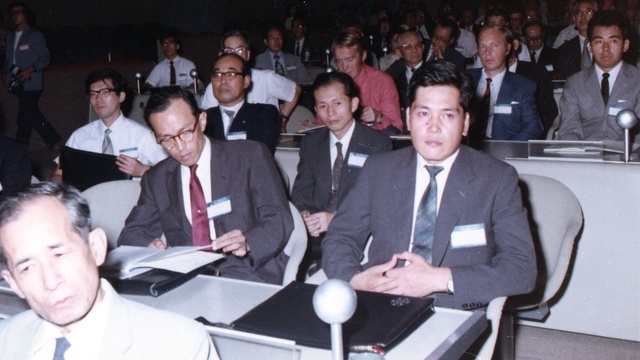 1st row: R. Kiriyama; 2nd row: H. Chihara, ? 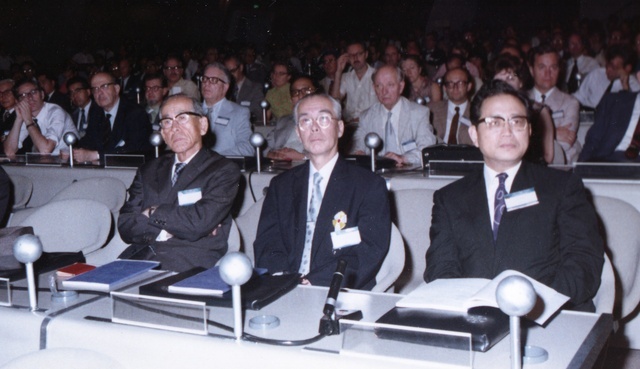 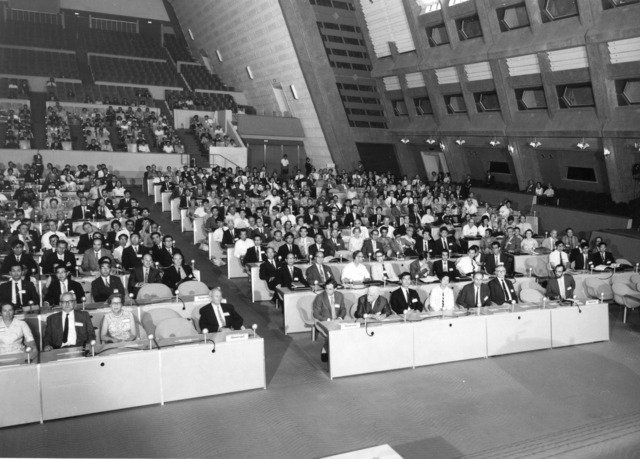 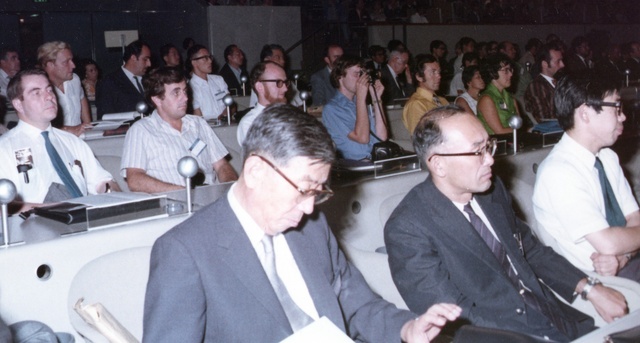 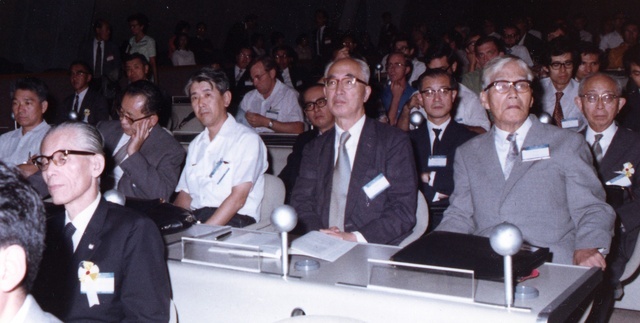 ; 3rd row: ?, M. Kakudo, Y. Sasada.